The pilot station of Marseille is located on Frioul island. 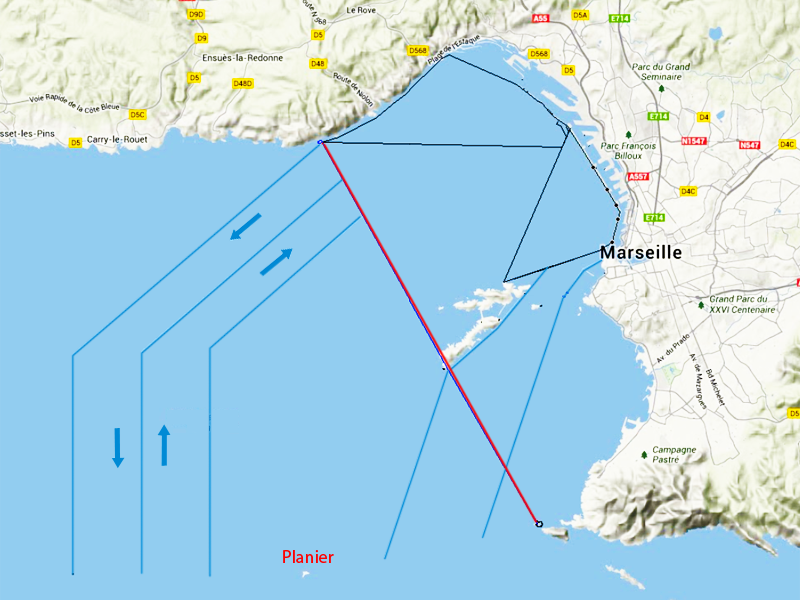 The mandatory pilot area of Marseille is bordered on the open sea by the line joining the port of Mejean, the Cap Cavau and L’Ile Marie. The pilots of the Marseille/Golfe de Fos pilot stations, among other things, exercise the coastal pilotage above this zone. The vessels with the destination of the port of Marseille must address their HPA to the port authority (STM) at least 24 hours in advance or from their previous port of departure. Approximately 1 hour before their arrival in the harbor, and after having mandatorily contacted the STM (Marseille Port Control) on channel 12, the vessels must establish the VHF link with the pilotage on channel 8 in order to agree upon the probable hour of arrival in the bay and the pilot’s position of embarkment. The pilot station guarantees permanent watch on channel 8. The pilot embarks in the harbor of Marseille north or south at a point agreed upon with the pilot station.